When talking about cryptocurrencies or blockchain technology, it is very unlikely that the discussion will totally miss out Bitcoin. Many gurus refer to Bitcoin as the king of the crypto world. While this might be true to a certain extent, the abrupt drop and surge in the prices of this currency (in recent times), have made it appear more like a financial maverick. So how are blockchain and cryptocurrency related, can one really exist and have utility without, the other. Staying off the techno terminology track, let’s try to explain the real issues involved. A blockchain can be described as a network, a special network that has multiple nodes. Unlike the server client networks that most of us are familiar with, the nodes in a blockchain are all equally important. If any piece of information has to be entered on a blockchain, the operation would be performed on one of the nodes. The most important feature of blockchain technology then moves in, the information entered is simultaneously updated on all the nodes. A blockchain can be configured to flag an error if a situation arises where, information on all nodes is not identical. This is something that raises the level of data security and creates an environment where, hacking and intrusion is extremely difficult. So now that we have the basics of blockchain explained, let us attempt to explain how a crypto currency functions. You might hear terms like digital currency or just crypto, they are often used to refer to crypto currency. To implement and operate a crypto currency, it is necessary to have a configured blockchain in place. Buyers of cryptos can make a ‘purchase’ using conventional cash or other crypto currencies. A specific cryptocurrency can be used to pay for merchandise or services, on any blockchain based platform that will accept it. It is important to understand that, digital currencies can originate on one blockchain and be used on the same or different blockchain. A basic requirement is that, a blockchain will need to be set up to receive or accept a specific cryptocurrency. Now that we have a fairly clear idea about blockchain and crypto currency, let us try to visualize a situation where one can exist without the other. We mentioned that a crypto currency is implemented over a blockchain. The use of a cryptocurrency can happen on the blockchain that issued it or, over any other blockchain that is configured to accept it. Not much brain work is required to conclude that, a cryptocurrency cannot exist without a blockchain. Let us look at the reverse situation, a blockchain without a corresponding crypto currency. Is such a configuration possible and if it is so, will such a blockchain have any utility in the real world. A very interesting situation comes to mind, most knowledgeable people in the government and business sectors, have begun to realize the high utility and value of blockchain technology. Numerous examples exist where, the benefits of blockchain technology are being harnessed without, the requirement or implementation of crypto currency. Ministries in more than a dozen nations, are seriously researching the possibility of porting public health service functions on to a blockchain. This is expected to improve efficiency, provide prompt diagnosis and treatment and reduce financial overheads. DeBeers the giant in the glittering world of diamonds, has recently implemented a diamond blockchain. The objective of the much publicized project is to keep a central base where, detailed information about various diamonds can be maintained. This makes it possible for the history of various diamonds to be tracked and followed. DeBeers has clearly stated that, there will be no trading of diamonds conducted on the platform. There is also no plan to introduce a crypto currency into the project. GLITZKOIN: The information in this report is compiled by the GLITZKOIN team. 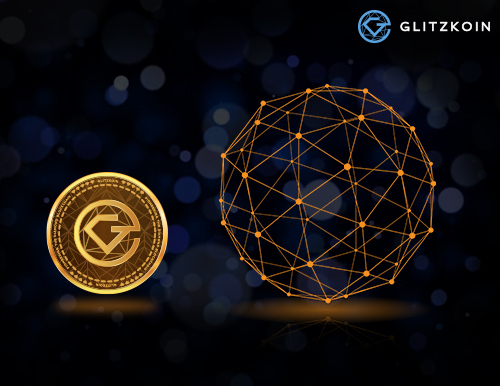 Widely acclaimed as the first serious attempt to build a superior diamond blockchain, the GLITZKOIN project includes a comprehensive, blockchain based diamond trading platform. With diamond veterans and blockchain techno experts, present in the team, it is clear that the project focuses on improving diamond trade and eliminating, inefficiencies that have plagued the industry for decades. A crypto currency is being implemented to reduce the lengthy and expensive, payment procedures that are currently being forced on global diamond trade.